Hello! Today I am sharing the card that I made for my mom for Mother's Day. I went very simple and tried a new to me technique that I have seen popping up on Pinterest. I thought it looked really fun. I started by die cutting the word "Mom" out of my Silhouette. I then attached it to the card front and used Wplus9's Hope Seed Co stamps to stamp over the word. I used Prismacolor pencils to color in the flowers Then I took a cool gray colored pencil and went around the word to give it some dimension. I am really pleased with how this card came out and I can see more of these types of cards in my future. It was really relaxing to do. Betty-- scroll to April 28th. It wouldn't let me pull up the exact blog post for some reason. Laura Bassen for Simon Says Stamp--this one uses text. Love it! 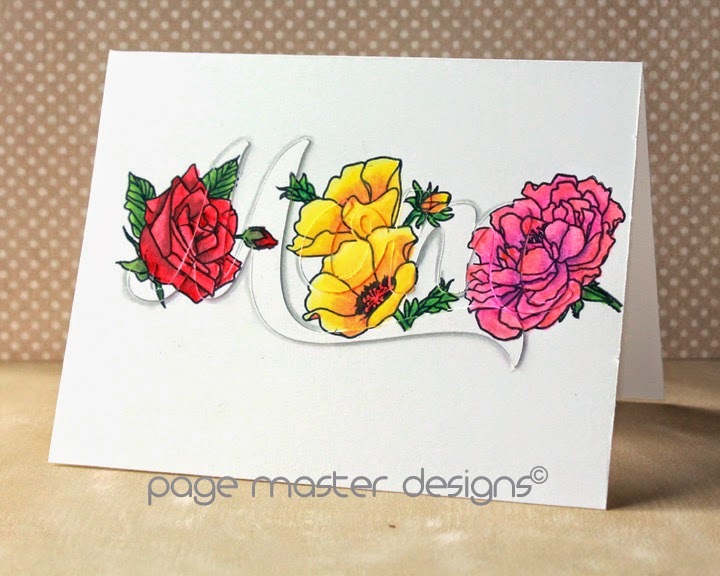 Just scrolling through your blog, and fell in love with this beautiful card! 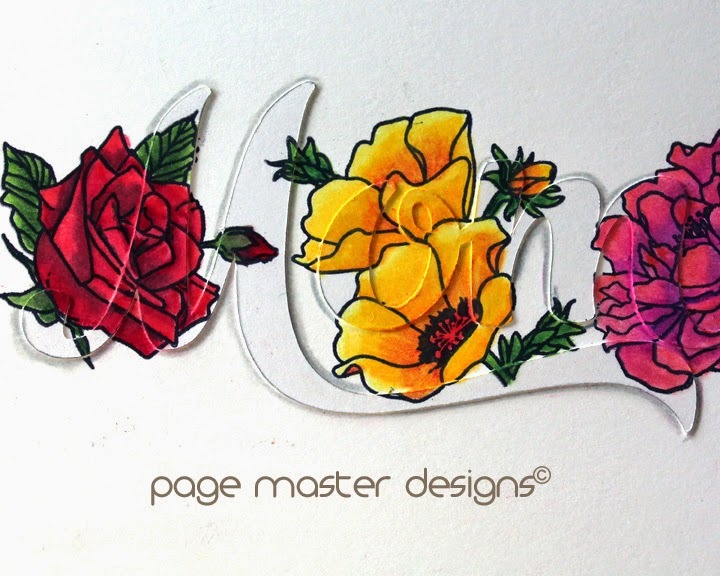 Your coloring is amazing, and your die cut sentiment is perfect, Michelle! I'm so happy to have inspired you to try this technique, too!